Pune police officials have come out strongly against the ‘tyre killers’ installed by Amanora township to prevent the menace of ‘wrong-side riding/driving’. Last week, Amanora township came into the public eye after tyre-killers were installed on a road abutting it. According to officials who run the township’s society, the tyre killers were installed to prevent wrong side riding and driving, which they said gravely endangered kids of a school nearby. However, police officials at Pune say that the tyre killers are risky and need to be removed. Police officials have written to the management of Amanora township, asking them to immediately remove the ‘tyre killers’. The spikes are very sharp and can turn fatal if someone falls there. Especially with the school around, the risk is severe. They had not sought permission for any such installation. Even though it has been put up inside the township, the road is being used by the masses and we have to ensure their safety.These structures are to be put up on gates with restricted entries and cannot be used on such roads which are used by public at large. We have inspected the road and then taken this decision. 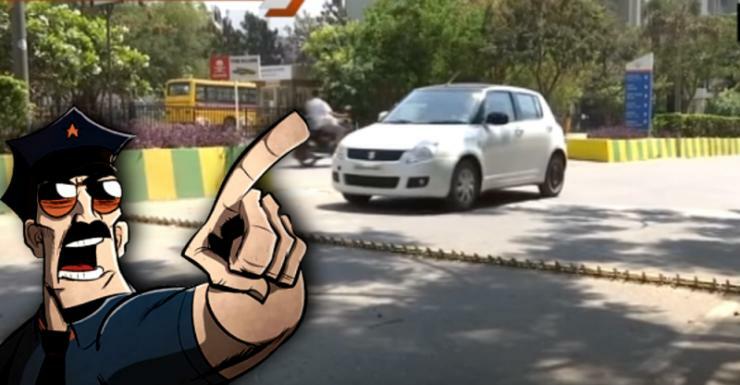 The cop added that the tyre-killer is not approved by the Indian Road Congress, and that it was installed on a public road without taking requisite permissions from authorities, which means that it’s illegal. Considering the excessive vehicular commotion near the school, we had put up the tyre killers to ensure that people coming to pick their kids do not drive on the wrong side. The wrong-way drivers were a threat to kids’ safety. Also, we have seen multiple accidents every now and then. Since we put up these, the number of people driving in the wrong direction has decreased. While wrong side driving/riding is a serious menace across India, citizens or private parties taking things into their own hands and modifying public roads is not acceptable. Any such modifications to roads, however well-intentioned the move may be, needs explicit permission from authorities concerned. Otherwise, such spikes can become a menace rather than a solution.